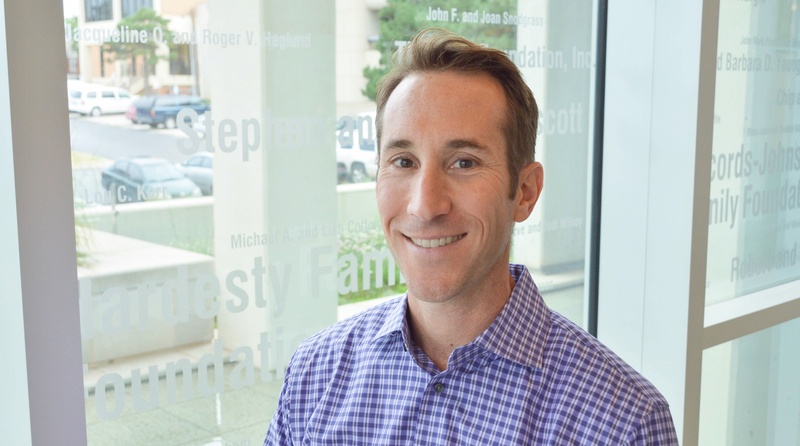 OMRF scientist Scott Plafker, Ph.D., has received a four-year grant from the National Institutes of Health to study whether a natural compound can help prevent a common eye disease. The grant, awarded by the National Eye Institute, will provide Plafker with $2.25 million to investigate whether sulforaphane, which is found naturally in broccoli, cabbage, cauliflower and Brussels sprouts, can protect against age-related macular degeneration. The compound has previously been shown to protect cells from stress and to have anti-cancer effects. Age-related macular degeneration (AMD) is a leading cause of irreversible blindness among the elderly in the U.S. This complex disease is characterized by death of the light-sensing photoreceptors cells in the macula region near the center of the retina. As a consequence, patients progressively lose their central vision. With the new grant, Plafker and his OMRF research team will seek to determine if sulforaphane can preserve vision by maintaining and protecting the layer of cells in the retina that supports the function of light-sensing photoreceptors. Plafker’s research will be done in collaboration with Michael Boulton, Ph.D., from the University of Alabama at Birmingham School of Medicine and Raju Rajala, Ph.D., from the Dean McGee Eye Institute. The grant, 1 R01 024944-01A1, is funded through the NEI, a part of the National Institutes of Health.